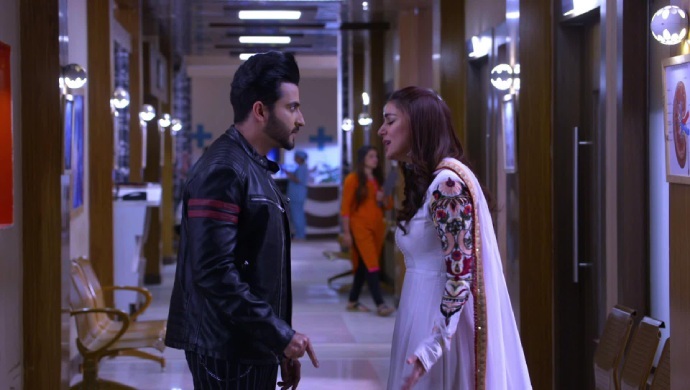 In the previous episode of Kundali Bhagya, Preeta and Karan go looking for Prithvi. Karan is sure that Prithvi is with Sherlyn. Preeta is sure that Prithvi is innocent and finds out the Prithvi is in hospital. Meanwhile, Rishabh threatens to call off the wedding with Sherlyn if she doesn’t withdraw her case against Karan. At the hospital, Prithvi proves that he was not with Sherlyn and was intead at the hospital. In tonight’s episode, Karan is still using aggression to get the turth out of Prithvi. Preeta asks Karan to back off when she sees Prithvi in pain. Prithvi plays the innocent guy who is being attacked for no reason. Preeta takes Karan out of the hospital room to calm him down. Preeta fights with Karan about the way he is speaking to Prithvi. Karan tells Preeta that she is wrong in taking Prithvi’s side. Preeta agrees that Sherlyn is having an affair with somebody but she is sure it is not Prtihvi. Karan challenges her to prove that Prithvi is not having an affair with Sherlyn. Meanwhile, Sherlyn goes with Rishabh to the police station to take back her complaint. When they leave the police station Preeta calls up Rishabh to tell him she will be with Prithvi for the day. Sherlyn gets jealous on hearing this and asks Rishabh to take her to the hospital. Back at the hospital, Prithvi is making sure that Preeta is always attending to him. He asks her to feed her with her own hands and get him a glass of water. When Rishabh and Karan show up they see Preeta being nice to Prithvi and get jealous. To rub salt in their wounds Prithvi asks Preeta to give him a shoulder massage. However, he notices Sherlyn who is getting mad with jealousy and anger. He asks Preeta to be away for a while. Sherlyn makes up and excuse and leaves the hospital in anger. How will Karan prove his point to Preeta? Stay tuned to find out.